Welcome to Pediatric Health Center! Welcome to the Pediatric Health Center website. We provide full-service pediatric care and we have designed the website to give you extensive information about our practice, our physicians, and our policies. We have also provided you with educational resources regarding your children’s health and upbringing. Pediatric Health Center has been providing premier pediatric care since 1978. Founded by Dr. Aaron S. Goldberg, M.D., PHC uses state-of-the-art, Greenway’s Electronic Medical Records (EMR) and Practice Management (PM) system. 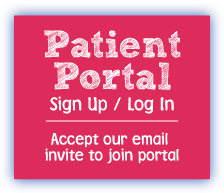 You can view your lab results and messages on the secure PHC Patient Portal, as well as request scheduling changes and call backs. PHC employees value your time and business, and give their time to the community through community service and sports team sponsorships. We are here to serve you and your children. Enjoy your time here. We welcome any feedback from you.